Changes are coming to the way compulsory third party insurance claims work in NSW after the state government introduced new legislation earlier this year. In this article we look at some of the main changes to the law and how they will affect car accident claims in the future. Under the changes to compulsory third party insurance claims, compensation will be payable by insurers to those injured in car accidents regardless of who was at fault. The compensation will include weekly payments for loss of earnings, payment for medical treatment and care as well as for funeral expenses. The maximum amount for the weekly payments are set at 2.5 times the average weekly wage – currently amounting to $3,853. A claim for these statutory payments must be made within three months after the motor accident. No statutory benefits will be available if an injured person has made a successful claim for workers compensation under the Workers Compensation Act 1987. However, under the compulsory third party insurance changes, after six months has passed, statutory payments will not be paid to people who only suffered ‘minor injuries’ in the motor accident. ‘Minor injuries’ are defined as ‘soft tissue injuries’ and ‘minor psychological or psychiatric injuries’. ‘Soft tissue injuries’ include injuries to muscles, tendons, ligaments, menisci, cartilage, fascia, fibrous tissues, fat, blood vessels and synovial membranes. But they do not include injuries to nerves or a complete or partial rupture of tendons, ligaments, menisci or cartilage. ‘Minor psychological or psychiatric injuries’ are defined as a psychological or psychiatric injury that is not a recognised psychiatric illness. injured persons who were under 16 years old at the time of the accident. The statutory payments will continue to be paid for up to two years and possibly up to five years in some circumstances. Common law damages will still be available for some types of economic loss, including loss of past and future earnings, and for some types of non-economic loss. However, common law damages will not be available for people suffering from ‘minor injuries’. And non-economic loss will only be available if permanent impairment is more than ten per cent. Claims for common law damages claims must be made within three years of the accident. a claim for injuries resulting in more than ten per cent permanent impairment. The changes to the CTP scheme are introduced in the Motor Accident Injuries Act 2017. 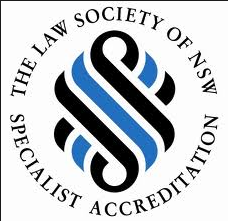 The NSW Parliament passed the new laws on 30 March 2017, received assent on 4 April 2017, and is likely to come into operation in the latter part of 2017 on a date to be proclaimed. If you’re unsure about your rights to claim compensation for injuries suffered from a car accident, be sure to contact our friendly lawyers. Our senior CTP claims experts will be able to help you get the result you need.